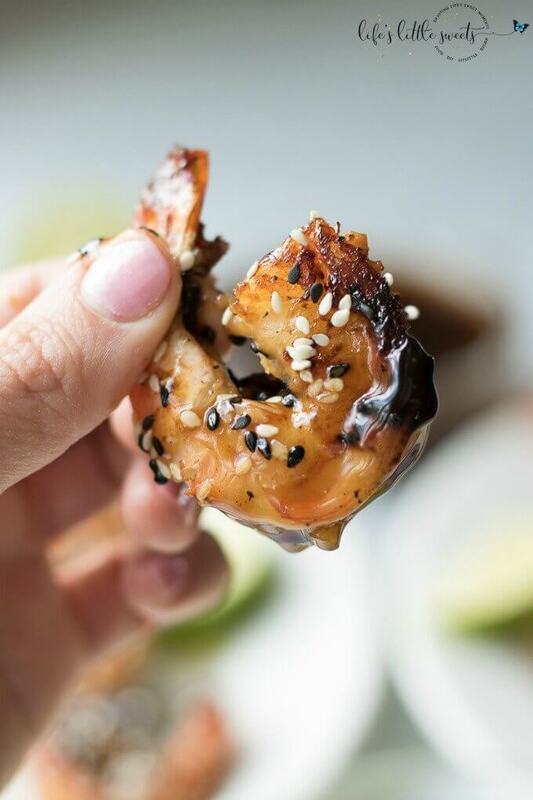 Grilled Teriyaki Sesame Shrimp uses fresh jumbo shrimp and a homemade teriyaki sauce. It’s perfect as an appetizer for outdoor entertaining or on its own over rice as a weeknight meal. This shrimp on a stick is finger-licking good! Hey Everyone, I can’t believe that April is halfway over already. I can’t wait for that warm, Spring and Summer weather to come. It seems like we get teased with good weather and Winter has lasted too long. You know what? Summer will be here before you know it! 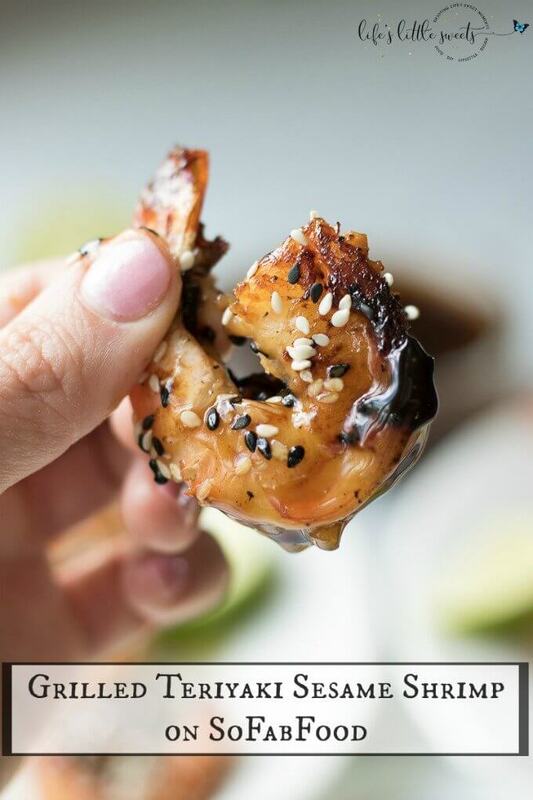 It’s that time of the month to share my latest guest post recipe from SoFabFood.com: Grilled Teriyaki Sesame Shrimp. This recipe was so much fun to work on. It’s so versatile, you can make it for pretty much any occasion, have it over a salad, as an appetizer or as a main. The shrimp is sticky and sweet and makes you want to have more! You might want to double or triple the recipe to feed a crowd or your own hungry tummy. You can see all my recipe teasers of recipe guest posts for SoFabFood, here. You can get the whole recipe, more pictures and the full post on the SoFabFood.com website, visit here.